First of all, we've been getting some notice from other blogs in the last couple of weeks, and I want to thank everyone who has written about us or told their friends about us. Karen at For What It's Worth posted a Better Know a Blogger feature on me and Mandroid earlier today, which you can find here. Welcome to anyone who stumbled their way over from Karen's post! Two other bloggers listed me as a winner of a Liebster Blog Award, so I would very much like to thank Kate at Musings of a Book Lover and Leah at Leah Writes Pretty Fierce. I hope to eventually get around to passing the award along, but in the meantime, I wanted to say thanks. As a newbie blog, we really do notice all the support and appreciate every single bit. And now that the sappy stuff is over... the actual post that I wrote during my lunch hour, which is why this segue is so out of place. Today we have something a bit different. I have an unspoken schedule for this blog, which helps me keep on task and get posts up in a (somewhat) timely manner. Tuesdays are my free-for-all days, the days when I've given myself permission to post about whatever the hell I want, book-related or not. In the past few weeks, I've posted mini-movie reviews, artwork and a little essay about reinventing the DC universe. Today I've felt lethargic and uninspired, not having a clue what to post. That lethargy and lack of inspiration, of course, inspired me to write this post. Ever since finishing Supernatural Noir I've had this painful empty feeling in my chest. I guess all the darkness and grime of the noir settings, the death and gore finally got to me in the end and now my head is in a nice solid state of anxious depression. It'll wear off, perhaps after watching a favorite episode or two of Supernatural or picking up a more pleasant read that avoids all the death, grime and darkness that short story anthology embraced. I've always been very affected by the stories I consume, though books - stories I have to embody to conceptualize - always have the worse effect. I can't tell you the number of times I've bawled during a re-watching of Moulin Rouge (a movie I've seen so many times I can recite most of it like Fernando can recite Star Wars) or Rent. Certain season finales of certain favorite shows also drill that hole in my chest, an empty feeling that I somehow have to fill in with lighter forms of entertainment. It's something I made a passing mention to in my review of The Doll's House when I nearly became physically ill reading certain passages. Stories often times cause a physical reaction in me. In writing it all sounds a bit sad, that pop culture can have such an effect on my mental well-being, but it's been that way for as long as I can remember. I am a very empathetic person in the sense that, if I see someone crying, I will also start crying even if I have no idea what the reason is behind the tears. It's a biological reaction that, try as I might, I've never had control over. This is one of the larger reasons I avoid realistic fiction for the most part. At least with speculative fiction there's a thin barrier of "This could never happen" between me and the story, though often time that just doesn't help. I clearly remember the last time I felt empty and lost after finishing a book. 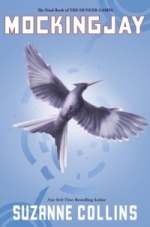 It was this past February when I finished Suzanne Collins' Mockingjay. The one person I thought would be safe throughout the entire Hunger Games series suddenly became a target and I finished the book in a daze. In the aftermath, I wandered my kitchen trying to figure out what to do next. Part of it was leaving the incredibly bleak and vivid world Collins had created, but also what had become of the characters left me feeling hopeless and distraught. Whether that was her intention or not is beside the point. 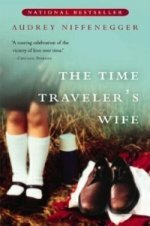 Another book that comes to mind when thinking about stories that greatly affected me is The Time Traveler's Wife by Audrey Niffenegger. There were a number of moments in that book that have stuck with me despite a desperate attempt to wipe them from my brain - the car crash Henry was in as a child or the aftermath of the time Henry finds himself in a very cold Chicago night. Those imagines haunt me years later, but it was the ending that destroyed me. I'm a spoilerphobe, so I won't say what happens even though the book (and movie) have been out for quite some time. All I can say is that when Fernando got home from work, he thought someone had died because I was crying so hard. After finishing Mark Z. Danielewski's House of Leaves I should have been filled with a sense of accomplishment. It's an incredibly difficult thing to read, what with the random passages in Latin, the dense footnotes, the text that is printed as a mirror image, and assorted other graphic design elements that lend to the creepy atmosphere of that book. Perhaps it was from living alone in a city far from home for the first time with homesickness setting in, but I finished that haunting book with a desperate need to get out in the sunshine in an attempt to rid myself of the gloom. 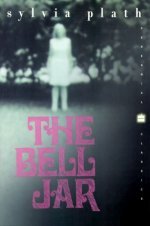 In high school, I remember being highly affected by Jeffrey Eugenides' The Virgin Suicides, Susanna Kaysen's Girl Interrupted and Sylvia Plath's The Bell Jar. As a yet-to-be diagnosed borderline manic depressive teenager, I found these books both incredibly reassuring and devastating from beginning to end. And here's the weirdest of all the books that have left me despondent in their wake so clearly that I remember how I felt ten years later: Neverwhere by Neil Gaiman. It was my first Gaiman book that I'd ever laid hands on, and I loved it from the moment Door showed up (which, if you've ever read the book, is the very first page). It was an adventure story wrapped up in a dark faerie tale based off of real places and things I'd never seen. It ended up being my gateway into the fantasy genre and, eventually, science fiction. I remember quite clearly sitting in my bedroom on a summer afternoon, feeling completely despondent. This was a world that did not exist and I so very desperately wanted to go there, wanted to have those dangerous adventures in dark places. In the end I think it just made me more of a reader, searching for new worlds and new adventures that I could only experience vicariously in my head. And the weirdest thing of all? I absolutely loved ever single one of the books I mentioned. Masochistic much? So is this me? Am I weird? (Don't answer that) Is this unusual or have you come across a book that left you reeling in its wake? If you have, by all means, please tell me what it is, so that I might be able to avoid it during times I feel like I currently do.